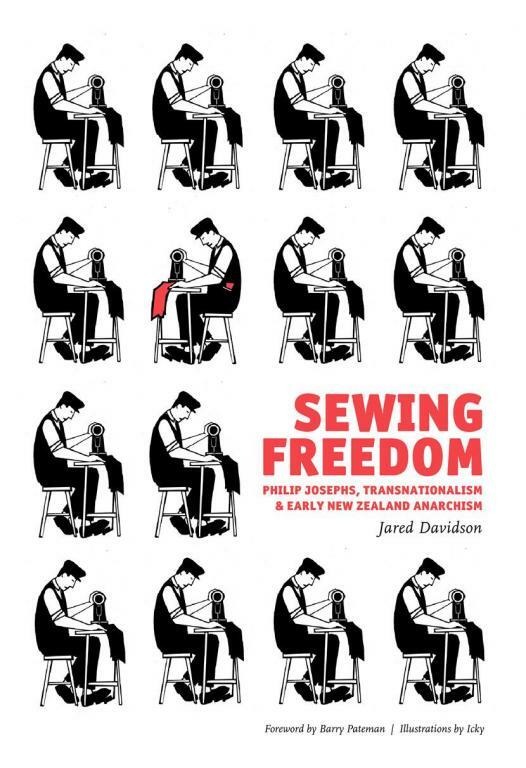 In this gem of a biography, Jared Davidson recovers the life and achievements of one of the often-forgotten tens of thousands of activists who built the global anarchist and syndicalist movement of the 1880s to the 1940s: Philip Josephs, immigrant advocate of interracial, internationalist class struggle, libertarian communism and syndicalist unionism (pp 17-19, 56-63, 67-68, 114). Much anarchist and syndicalist history has been written in the form of national narratives of, for example, ‘Spanish anarchism’ and ‘British syndicalism’. Th is framing is very valuable, and often unavoidable, but struggles to capture the dynamics of a movement that was resolutely internationalist, and deeply embedded in transnational and global processes. Migration (whether for exile, refuge or work), the worldwide circulation of a radical press, and cross-country networks, were among the mechanisms underpinning what Constance Bantman calls the movement’s ‘informal internationalism’. Davidson is keenly aware of this: stressing that the anarchist and syndicalist movement was global constituted, he highlights Josephs’ role as a carrier of ‘mental dynamite’ and ‘transnational connections’ (pp 19-21, 36). He is thus able to tell both the story of one man, and of the movement, local and global, that he helped build. Born Feival Ben Yacov in Latvia in 1876, Josephs was among the Jewish millions that migrated from the east – in his case first to red, anarchist Glasgow, Scotland in 1897, then, with a growing family, to colonial Wellington, New Zealand in 1903. Here, pioneering social democratic reforms co-existed with marked inequality and severe restrictions on unions (pp 39-43, 65, 67-68), a situation that radicals worldwide highlighted as evidence of the fallacies of ‘state socialism’ (pp 108-111, 118). Unsurprisingly, New Zealand was also the site of a substantial ‘working-class counter-culture’, into which the now-anarchist Josephs plunged (pp 53-54, 103). Active within the contested NZ Socialist Party, he also engaged the syndicalist-influenced Federation of Labour and the syndicalist Industrial Workers of the World (IWW); he meanwhile imported masses of materials from publishers like Piotr Kropotkin’s Freedom Press (among them Chinese-language leaflets), and established a successful meeting centre, bookshop and country-spanning distribution system (pp 21, 53-63, 67-68, 103-107, 116, 119, 130-131). Further, he wrote for the international and local radical and labour press, gave numerous speeches and classes, formed an anarchist Freedom Group, and played an active role in anti-militarist struggles and the Great Strike of 1913 (pp 21, 106, 108, 113-123). By the 1910s, Josephs, who made his living by turns as tailor, farmer and grocer, was arguably the country’s most prominent anarchist. By then, observers reported, anarchist and syndicalist literature was far more widely available than Marxist material (p 69), a situation for which Josephs bore substantial responsibility. However, the repression of the Great Strike was followed by wartime suppression of the left : anarchists and syndicalists were targeted and Josephs, watched, raided, arrested and blocked from the mail, found his operations and life profoundly disrupted; he eventually left for Sydney, Australia in 1921 (pp 123, 125-133, 135-140). There, he faded from the anarchist record, and from activism, passing away quietly in 1946. Yet his imprint on New Zealand radicalism remained: if the local anarchists and syndicalists were a minority in the shadow of social democracy, they were a shining and vocal one, with a real influence (pp 144-146). This informative, engaging, fascinating, research-based book helps lift the cover off their impressive history.
. Constance Bantman, 2006, ‘Internationalism without an International? Cross-channel anarchist networks, 1880-1914’, Revue Belge de Philologie et d’Histoire, 84: 4, pp. 961-981.